The vast majority of international visitors arrive on flights landing at Dubai International Airport. 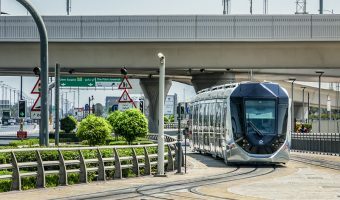 On arrival there’s a variety of options for getting around including rental cars, taxis, the Dubai Metro, and the Dubai Tram. 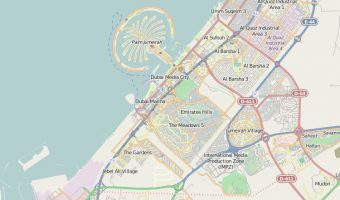 Interactive map of Dubai. Shows the exact location of hotels, tourist attractions, shopping malls, Metro stations, and more. 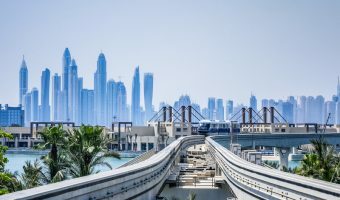 The Palm Jumeirah Monorail in Dubai runs between Atlantis and Al Sufouh. View an interactive route map and find out the cost of tickets, hours, and more. Tram network serving Dubai Marina/Jumeirah Beach Residence and Al Sufouh. 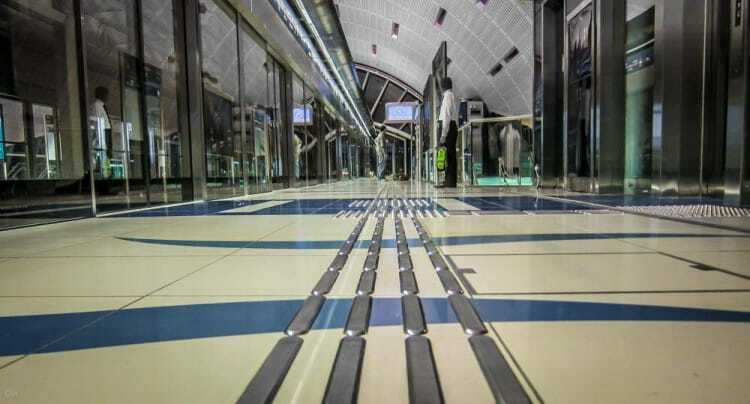 Connected to the Dubai Metro Red Line.